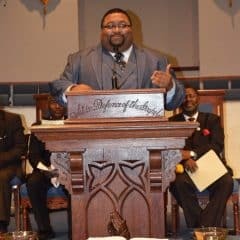 The crucifixion and resurrection of Jesus is the central event in all of history. It is here that Jesus conquered death and God demonstrated that Jesus is, in fact, His son (Rom. 1:4). There is no more important truth to teach your kids than that Jesus is alive! 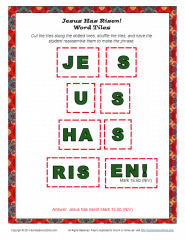 This printable Jesus Has Risen Easter word tiles activity, based on Mark 16:6b, is a great way to remind children that Jesus did not stay dead. 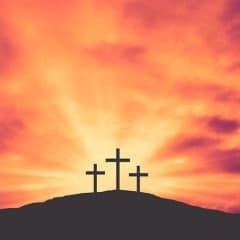 He has risen and is alive today! We also have a number of other Easter related activities and resources on the site to help kids think about the resurrection and all of the related events in a biblical way.